Tires are generally the second-largest operating cost for fleets behind fuel. Despite the negative effect of unchecked tire costs on the bottom line, not all fleets exercise control over their tire cost per mile (cpm). Tracking all the variables affecting tire products and applications can be overwhelming and has led to the rise of an industry that provides tire management systems for a variety of customers, including public and private fleets. The potential benefits of tire management systems are clear, said Glen Martin, fleet manager for Florida Power & Light (FPL) in West Palm Beach, Fla. They alert drivers of a potential tire problem, including a pending flat, which can dramatically increase driver safety. According to Martin, that soft cost is difficult to measure, but an effective tire monitoring system should also provide a clear return on investment (ROI), which depends on tire cpm reduction. With more than 3,500 vehicles in the FPL fleet, it can be a difficult metric to accurately measure. For most fleet managers, the true challenge is achieving cost saving figures. Tire monitoring and management systems are constantly changing, designed to address, in some capacity, manual labor reductions, increasing tire life, and driver safety. 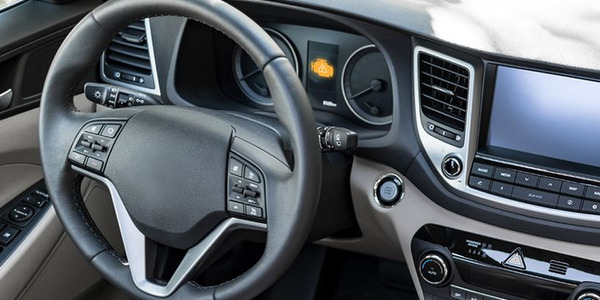 Since November 2006, the Transportation Recall Enhancement, Accountability, and Documentation (TREAD) Act mandated all new light vehicles be equipped with tire pressure monitoring systems (TPMS). 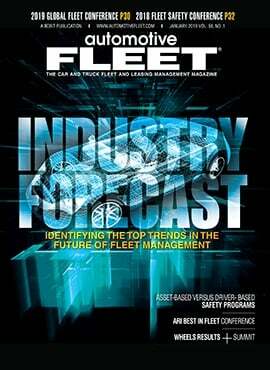 Most fleet managers expect the TREAD Act will be expanded in coming years to additional commercial vehicles. Alcoa Wheel Products introduced its new InTire management system in January 2007. 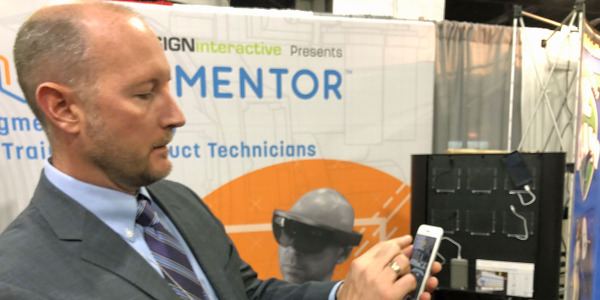 This Web-based fleet maintenance management tool provides real-time data on both tire pressure and tread depth throughout an entire fleet, said Merrick Murphy, general manager of Alcoa accessories, services and logistics. The software is designed to accurately and continuously monitor tire pressure and tread depth. Fleets can maximize tire life with added safety, full cost reporting capability with customized reports, and better fuel economy. "The data is tracked by wheel position and the only manual work required is generating the (demographics) information on the fleet," Murphy said. "It takes some work up-front to load information in the database, but from there, it is fully automatic, which is what our customers desire." The InTire management system offers an easy-to-use Web interface and wireless data collection, which reduces downtime for manual safety procedures, and speeds up information flow to management. 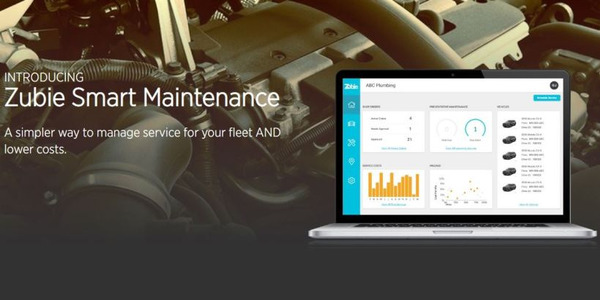 Add-ons offer fleet managers the ability to monitor a limitless number of preventive maintenance checks such as fluid levels and filter conditions, therefore, working as an entire fleet maintenance application. "Fleet managers can then use PDAs or other electronic devices to sync-up immediately accessible information on vehicles within their fleets wherever they go," Murphy said. TireVigil, offered by TireStamp, Inc. in Ottawa, Ontario, Canada allows fleets the ability to view real-time tire data and monitor tire performance, as well as data and statistical information based on real tire performance measures. Utilizing embedded wireless wheel sensors, TireVigil collects and communicates relevant data using internal servers and the company’s patent-pending technology. It reports vehicle tire status utilizing existing onboard telematics devices or TireStamp’s Tire Data Monitoring (TDM) technology that facilitates the collection and analysis of tire usage data over actual driving conditions. 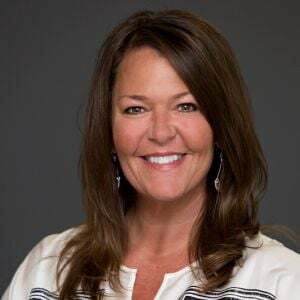 "It’s designed to allow customers to view tire data and make informed decisions to better manage their tire assets, anytime and anywhere," said TireStamp President Peggy Fisher. "It should meet the need of fleets and provide a good ROI in equipment and service costs." Fleets have had four requirements for tire pressure monitoring systems over the years, Fisher said, including tire pressure and temperature monitoring, true-identification number for accurate tracking, and tire mileage for accurate cpm computation. Specific to tire pressure monitoring systems, the automatic detection and information relay is often available from sensors attached to the tire, wheel, or valve stem. Some tire pressure monitoring systems may be integrated with tire pressure equalizer or maintenance systems that monitor and automatically inflate tires to a specific tire pressure. Tire air pressure information can be indicated by different means. The interface for some tire monitoring systems provides information in the form of alerts from on-vehicle wheel-mounted sensors or dash-mounted display units when tire pressure changes have occurred. Other systems involve the use of handheld readers to capture and instantly report tire pressure and other maintenance information. The increasing use of wireless systems, as available with Alcoa’s InTire and TireStamp’s TireVigil, is widespread. Other technologies are available to help fleet managers get the tire data they need to make informed decisions. A new radio-frequency identification (RFID) system by Advanced ID and Skye-Tek uses reader modules that can capture tire tag identification data while offering performance data and other information to help manufacturers, distributors, and fleet operators manage tire inventories. "We think maybe one out of five tires is counterfeit or came from the gray market, and is not manufactured to the standards of the world’s top manufacturers," said Advanced ID CEO Dan Finch. "Our solution can help identify such (counterfeit) tires in advance, but is also used to engage in normally expensive tire data collection." RFID tags can be safely attached to tires to provide identification and integrate with sensors to store data on pressure, wear, and other conditions. Several industry and international standards for tire identification are compatible with the electronic product code (EPC) system so tires can be uniquely identified and authenticated throughout the supply chain. Major tire manufacturers are conducting RFID trials, and many fleet operators, smaller tire manufacturers, distributors, and leasing agents are also piloting RFID, Finch said. "Low-cost solution devices and systems are expected to lead the way for migration to the era of tire RFID," said Dr. Patrick King, global electronics strategist for Michelin. Another key measurable for Martin at FPL is tire inflation figures. Some systems he has sampled send e-mails or other alerts to management about a specific tire that is over- or underinflated. Such data can help fleet managers prevent tire wear and increase vehicle or truck stability, while reducing the amount of manual checks. "We check all our vehicles on average four to eight times per year, and our drivers are responsible for checking their tires and vehicles every day they drive," Martin said. "That is a time-consuming process, and I’m not sure that even the best monitoring system can get us around such (manual) checks." 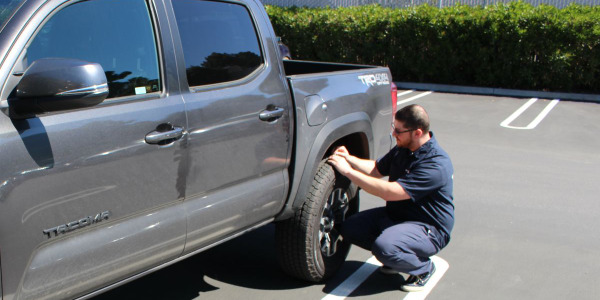 A solution from TireStamp allows companies and agencies to manage their tires by exception, which can help fleet managers better manage fuel economy, Martin said. However, the question of whether to purchase such a system always comes down to costs versus savings. "With more than 15,000 tires in use each week, that’s a difficult formula to figure out," Martin said. Tire monitoring and management systems must have an implicit cost benefit to provide added value, said John Benson, direct service line manager with Bill Currie Ford car dealership in Tampa, Fla., which is contracted to manage the Tampa Police Department vehicle fleet. That cost benefit may be the time element, Benson said. Eliminating the need to manually check tires for wear and performance can save fleets thousands of dollars per year, particularly in larger fleets. However, since vehicles are manually serviced for oil changes and other regular work, the time savings is only effective if the savings can be measured. 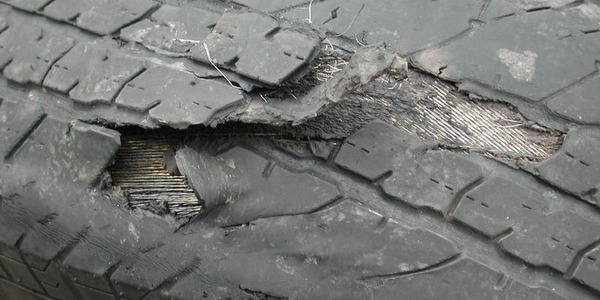 "The issue is being able to check (tire metrics) at any given time. Even with that knowledge, you need to be able to translate it into usable dollars," Benson said. "How much does it cost (the fleet manager) per mile to drive their tires for a given vehicle, and can you reduce that cost? Those are the answers we need." Such systems must help fleet managers understand the true cost of their tires, Benson said. 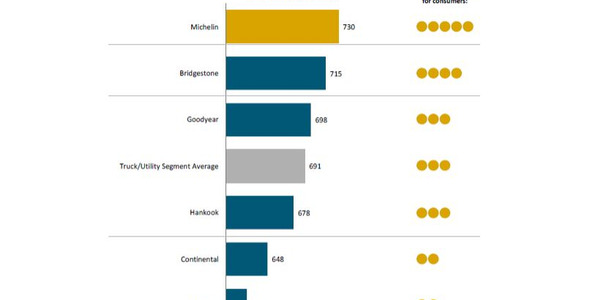 These systems should be used to develop a "best practices" approach that results in longer tire life, or in making better tire purchase decisions. Advanced ID provides RFID tags that can be embedded into tires as well as patches that can be applied in the aftermarket. The company manufactures handheld and fixed position readers, using reader modules from SkyeTek and others. The company’s software applications can track tire inventories, monitor tires as they are used, and provide advanced management capabilities. In July, the company acquired Pneu-Logic, which provides automated tire inspection and management solutions. Advanced ID’s RFID-based tire monitoring and asset management systems can save fleet operators 20-25 percent on tire and fuel costs, Finch said. TireStamp’s Fisher feels her company’s product helps manage tire pressure monitoring in a new way. Instead of sending a signal to the vehicle’s dashboard by activating a light or displaying the problem tires, TireVigil sends the data via cell phone from the vehicle to servers, where it is analyzed and stored. 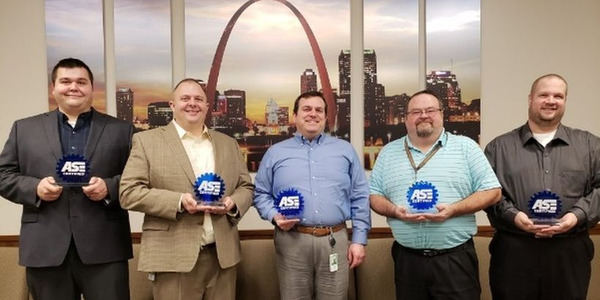 "We provide potential fleet customers with an ROI analysis that uses statistics from the Federal Motor Carrier Safety Administration’s study of tire pressure monitoring systems," Fisher said. "That is combined with the fleet’s own costs for tires, fuel, miles run, and other pertinent numbers to come up with the most accurate and industry-accepted analysis." The functionality of such systems will continue to evolve, according to Alcoa Accessories’ Murphy. Alcoa is looking at adding such features as tracking fluid levels in future InTire releases. The true value of such features, however, is focused on limiting or eliminating the need for manual checks by fleet managers or service personnel that can help save time and money. "Many fleet managers today are still tracking their tire pressure and tread wear (statistics) on carbon paper or a spreadsheet," Murphy said. The installed cost of tire monitoring systems depends upon the features and benefits desired by fleet managers. Tire pressure sensors, which can be easily installed by fleet and maintenance staff, are placed over tire stem valves and display color-coded results. This costs approximately $12 to $15 per stem valve. Six-wheel systems that include a driver-interface and tire stem valve sensors range from approximately a few hundred dollars up to $2,000 for an 18-wheel system. These systems can be purchased online or directly from the manufacturer and specified distributors. Advanced systems with driver-interface and sensors attached either to stem valves through the wheel into the tire well or directly within the tire well cost approximately $1,000-$1,500 or more depending upon the type of system, number of tires, and installation requirements. These systems are available directly from OEMs. Systems requiring handheld readers cost approximately $6,000 each reader, and gate readers range from $10,000 to $12,000. 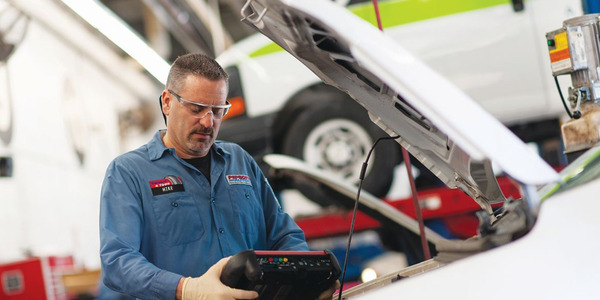 Automotive diagnostics data and business solutions provider CarMD has released its latest CarMD Vehicle Health Index, an annual report designed to provide an overview of information related to check engine-related car repairs, costs, and trends.